What makes some presidents triumphant leaders and others disastrous failures? How has the presidency evolved from the institution established by the Founding Fathers? Which president was the first to be elected with no previous political experience? In this wonderfully engaging book, readers will discover the answers to such questions and gain a rich understanding of the personalities, policies, and tragic flaws of our nation's chief executives. With forty-one essays in all, by such eminent historians as Eric Foner, Joyce Appleby, James Henretta, Alan Taylor, Jean Baker, Robert Dallek, Drew McCoy, and Karen Orren, THE READER'S COMPANION showcases some of the most provocative interpretive history being written today. Was Madison, for example, an indecisive bungler who led his country to war or a principled politician whose leadership was appropriate to his time? Ranging from the tragedy of Hoover's administration to Johnson's Great Society, from Carter's human rights agenda to the current administration's challenges, these engagingly written pieces shed light on the hubris, and sometimes the brilliance, of our leaders. 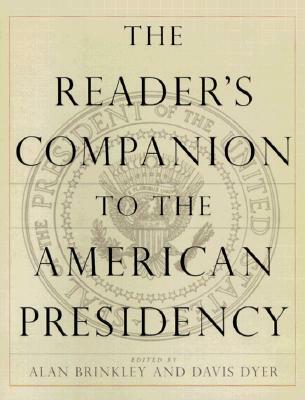 Fully illustrated with timelines, data boxes, and short essays on presidential families, this book is an indispensable resource for the serious historian and the curious reader alike.